Crazy hot wheels to customise and colour. Make them sizzle! Paint them your own way! 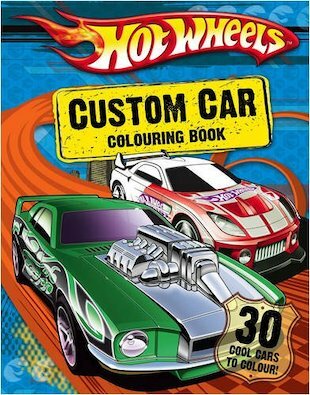 This book contains thirty beast machines from the fab Hot Wheels series, for you to take into your workshop and get busy with. There are all kinds of scenes and pictures to colour, with one thing in common: they’re all cars, and they’re all scorching hot! Get your crayons ready and make that ride your own!